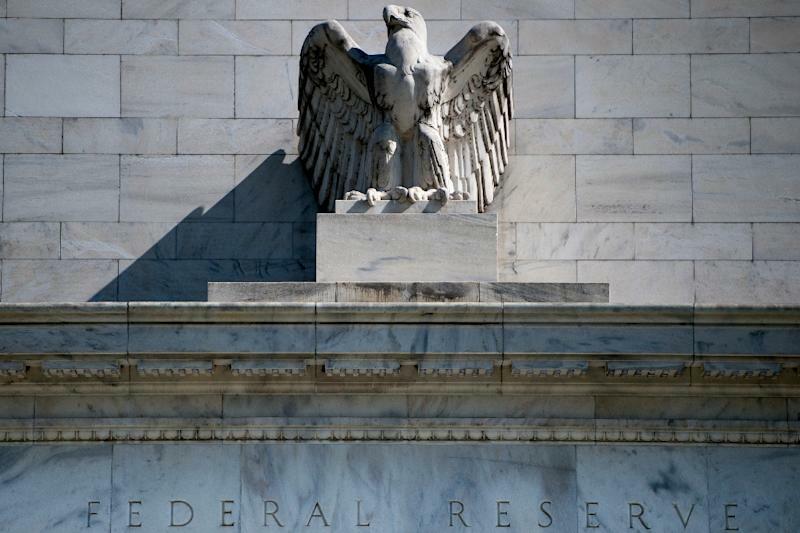 Washington (AFP) - The US Federal Reserve on Wednesday resumed its second meeting of the year, having all but assured markets it will leave benchmark interest rates untouched. But markets and many economists expect the central bank will cut its median forecast for the number of rate hikes expected this year, acknowledging an economic slowdown and persistently weak inflation. The Fed could also clarify whether and how soon it plans to end the sales of investments it had built up in the wake of the 2008 financial crisis to help inject cash into the economy. The rate-setting Federal Open Market Committee is due to announce its latest decision at 1800 GMT, after which Fed Chairman Jerome Powell will face the news media. With an eye to the future, central bankers are likely to cut their media forecast for the number of rate hikes expected this year from two to one or even zero. According to Ian Shepherdson of Pantheon Macroeconomics, the central bank would be "boxed in" if it cut its forecast all the way to zero rate hikes for the year. While the economy should slow sharply in the first three months of 2019, it is likely to rebound somewhat in the second quarter, as business investment and worker pay both begin to rise again, he said in a note to clients. "Under these conditions, we would be surprised if policymakers move to zero dots for the year," Shepherdson wrote, referring to the Fed's "dot plot," a chart of each central banker's estimates for future interest rate increases. A forecast of zero hikes could encourage markets to begin expecting the central bank to reverse directions and actually begin cutting rates, rather than increasing them. Futures markets now put the odds that this will happen in the next 10 months at about one in three.